in a small airplane. Here are some pictures I took. 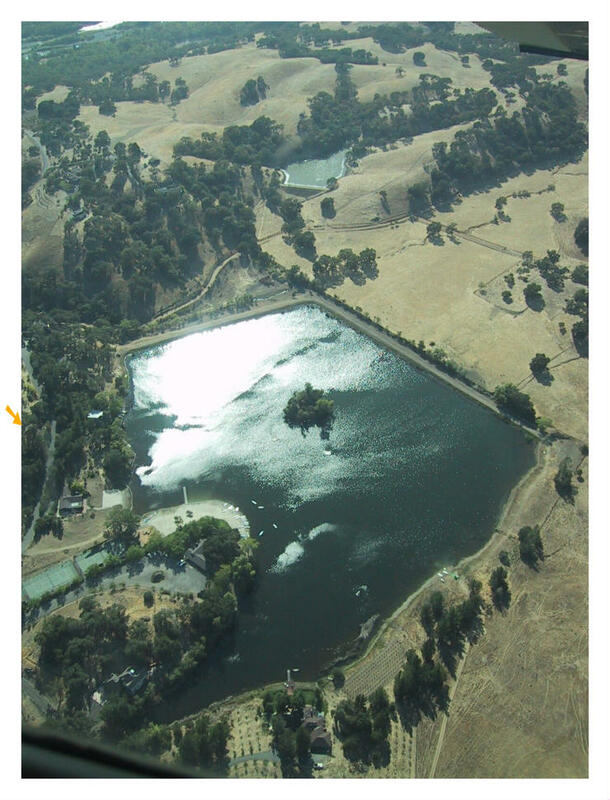 of the lake, and the clubhouse and beach to the right of the tennis courts. it's nestled in and underneath giant live oak trees. 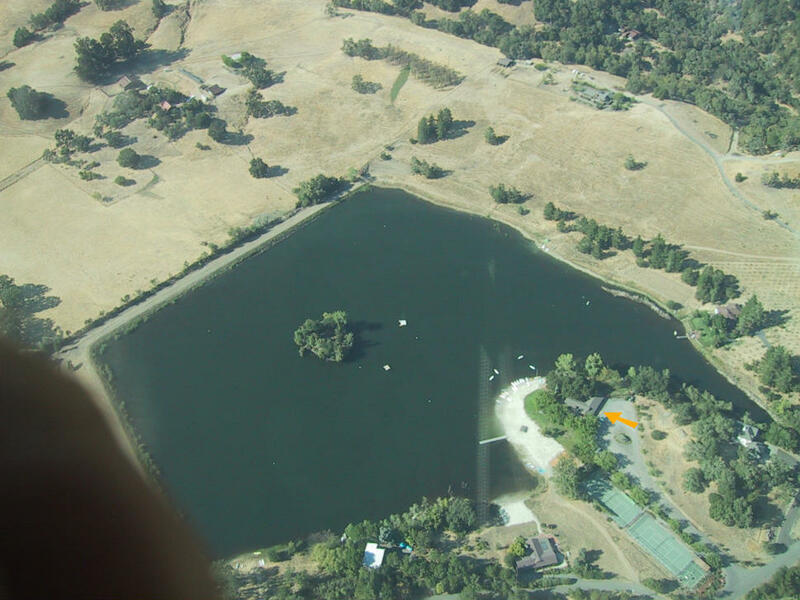 In this photo the orange arrow points to the club house. 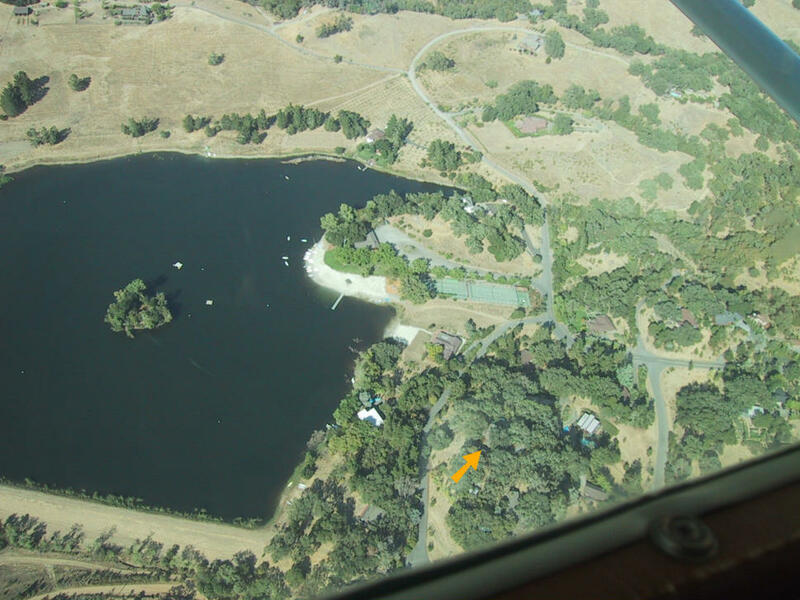 Here's another shot looking back south at the lake, the arrow points to our house. 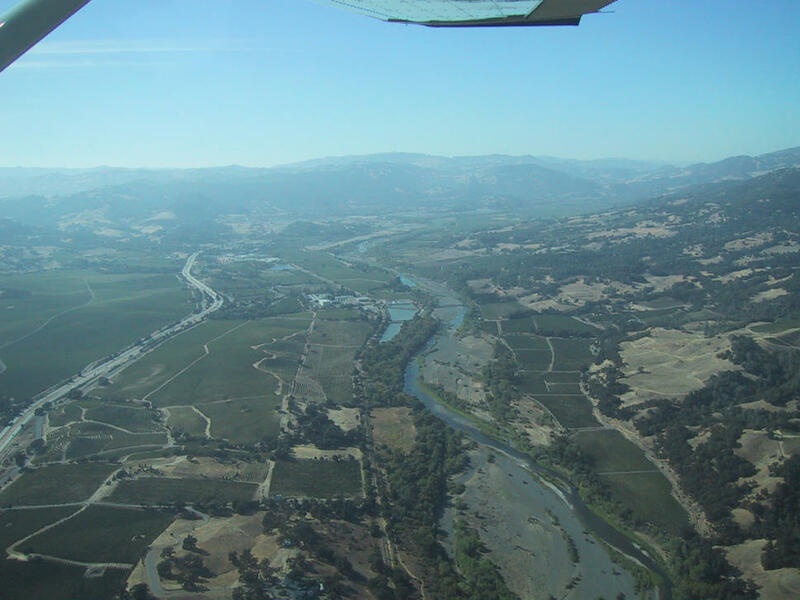 Geyserville nestled against 101 and the foothils at top center. to how wide the gravel river bed is from Winter flooding. 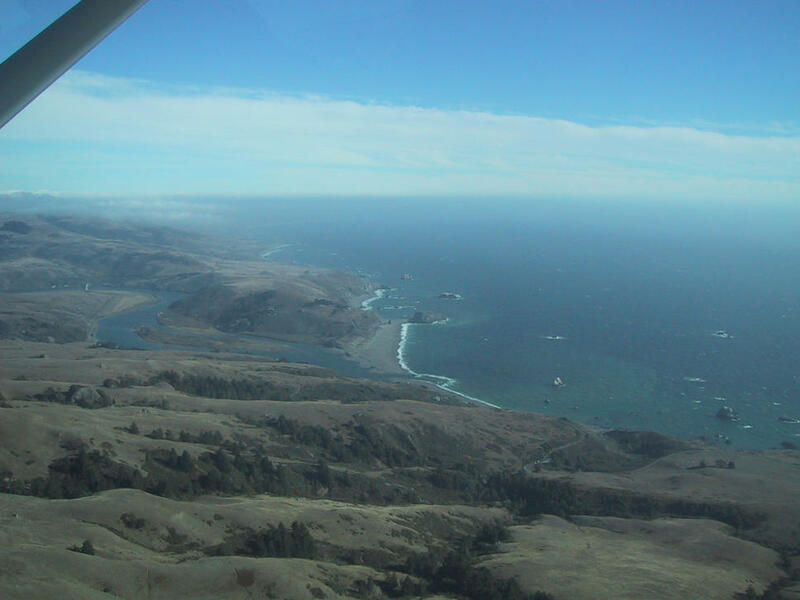 On the left side is U.S. 101.
meeting the Pacific Ocean at Jenner. 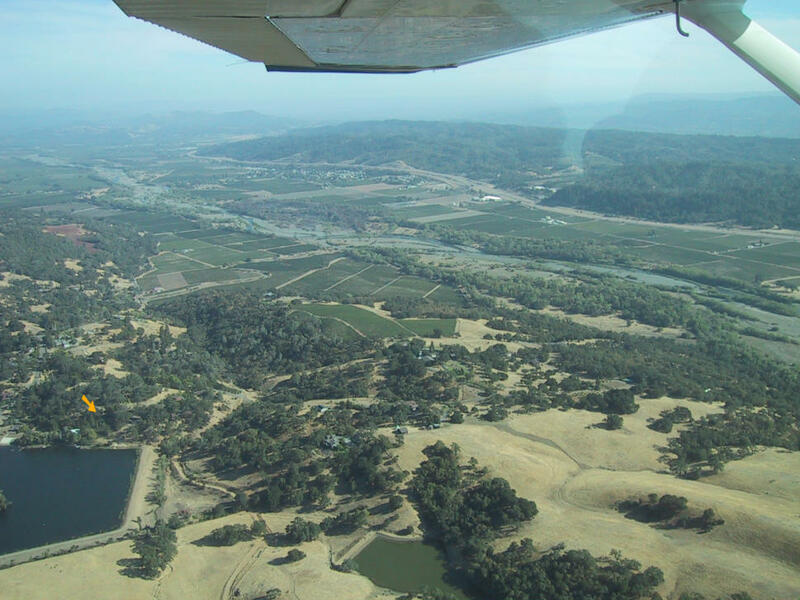 I love looking at photos from the air, especially when I know what is on the ground. This is great! Rob -- wonderful shots of a beautiful area!! It brings back many fond memories. Thanks! !